Have you ever attempted to take legal action, only to be told that the deadline for filing your claim or lawsuit has passed? If so, you’ve been confronted with a legal term called a “statute of limitations.” At Taylor King Law, we’d like to help you avoid learning about this term the hard way. This week’s “Tackling Legal Terms” post is all about the statutes of limitations in Arkansas. 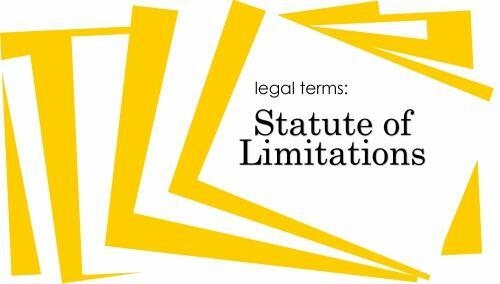 A “statute of limitations” is the law that sets the maximum time period that a person can wait before filing a lawsuit. Once this period of time or “statutory limit” has passed, the injured person can no longer file a claim or lawsuit related to the accident. There are two types of statutes of limitations: criminal and civil. Most of the time, statutes of limitations apply to civil cases. Each state sets its own statutes, and as a general rule, the time period may range from 1 to 6 years. What’s the purpose of a statute of limitations? While frustrating to someone who’s missed the deadline, a statute of limitations serves an important role in our legal system. In civil cases, it prevents people from taking legal action decades after the accident or event occurred. Cases become much harder to prove many years after the fact: witnesses forget details; evidence is lost; defendants move away. Working within the allotted time period allows your personal injury lawyer to present a solid case, and helps the judge or jury to make a better-informed decision. 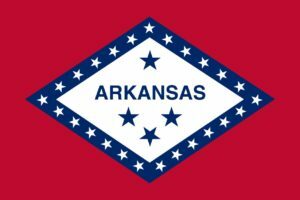 Arkansas Code (AR Code § 16-56-105) lists the different civil limitations for the state. All actions for taking or injuring any goods or chattels. So, what does this mean for personal injury victims in Arkansas? The legal language in statutes like those listed above can make it challenging to understand. What is the statute of limitations for your specific case? Below, we’ve broken down the time limits for the most common types of Arkansas personal injury cases. Car accident: 3 years. This also applies to motorcycle accidents and big truck accidents. Premises liability (commonly called slip-and-fall): 3 years. Wrongful death: 1 year from the time of death, rather than the time of the accident or event that eventually caused the death. Medical malpractice: 2 years from the discovery of the injury. Mesothelioma: 3 years from the time of diagnosis. Mesothelioma cases are unique because most victims were exposed decades ago and had no idea that they were in danger at the time. If you or someone you love has been the victim of a personal injury, whether that’s a car accident, slip-and-fall case, medical practice, or even wrongful death, there’s no time to waste. The team at Taylor King Law has decades of experience and will ensure that your case is filed before the statute of limitations has passed.